Fearless remained in Korea for season two due to health concerns. A day before their third match of the stage, Shanghai Dragons transferred tank player Lee “Fearless” Eui-Seok from its main roster to its Overwatch Contenders team, Team CC. The Chinese Overwatch League team underwent a major roster revamp following the league’s inaugural season, replacing eight of its players. Alongside Lu “Diya” Weida and Kim “Geguri” Se-yeon, Fearless stood as one of three remaining players on the Dragons’ lineup following the changes. Roster update: Euiseok “Fearless” Lee is transferring to Shanghai Dragons’ academy team Team CC. The main tank didn’t get a chance to play with his new team on stage, however. Less than a week ahead of the opening week for season two, Shanghai Dragons revealed that Fearless would be staying in his home country of South Korea due to health concerns. He remained absent from the Chinese roster going into stage two. The team then signed Noh “Gamsu” Young-jin from Boston Uprising to its roster soon after—and Gamsu served as the Dragons’ starting main tank throughout stage one, where the team locked down their first win since their debut and ended the stage with a 3-4 record. According to the team’s announcement yesterday, Fearless has recovered from his injury and will now play for Team CC to become reacquainted with the game. 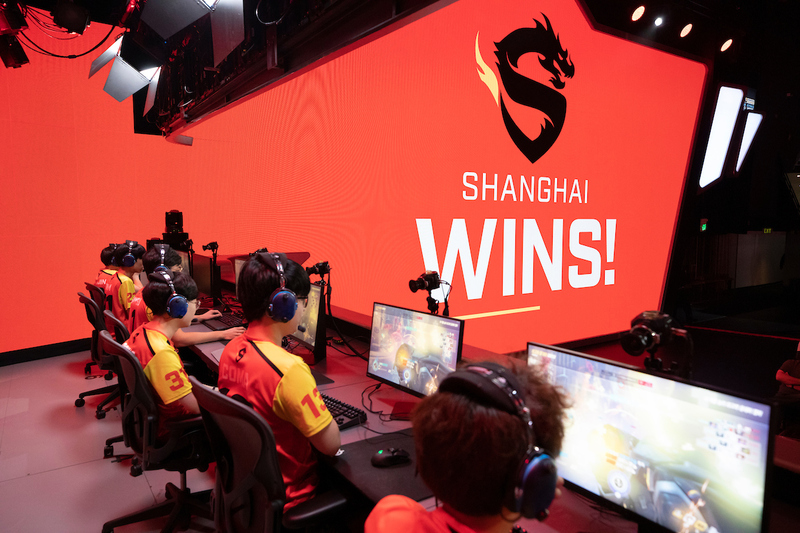 Shanghai Dragons will play their third match of season two against Chengdu Hunters at 11:15pm CT in the final series of today’s matches.